Nothing adds beauty and drama to a home quite like gorgeous hardwood floors installed by Sherlock's Carpet & Tile. There are many different types of wood and a wide array of finishes giving homeowners countless design options to match their personal style. Although there are plenty of do-­it-­yourself options, hardwood refinishing yourself can be messy, time-consuming and potentially risky if you have little experience. A fresh new appearance, easy maintenance and the cost-effectiveness of refinishing over replacing are just a few benefits to a professional hardwood refinish. Refinished floors add value to your home and give it a distinctive ambiance. Shellac, varnish, wax and linseed oil are just a few hardwood refinishing options. Different finishes result in different looks. Some flooring may only have minor imperfections and entail a simple re­coating. If wood is more worn down or damaged, it could require a full refinish. A professional will be able to help you decide which finish will work best with your hardwood floors. Once your flooring has been refinished, the preservation and maintenance of the floors will be much easier. Where there were cracks in the wood holding dirt and grime, there would now be a smooth clean finish. Casual sweeping and periodic polishing will keep your refinished floors looking brand new for years. 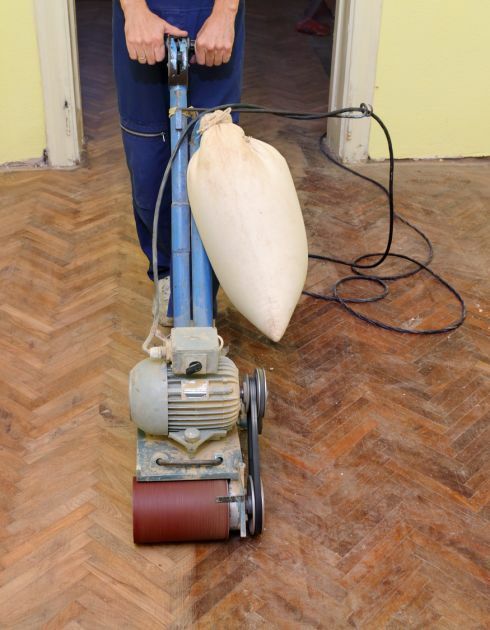 Refinishing floors now can save a great deal of money in the future. The longer you wait, the more potential damage can be done. Without proper protection, hardwood flooring is susceptible to deep scratches, scuffing and water damage. When floors are too damaged, they may need to be completely replaced. Hardwood refinishing is far less expensive and less time consuming than replacing wood floors. Restore the beauty of your hardwood by refinishing sooner than later. Prolonging a refinish could cause more damage to worn hardwood, costing more money in the long run and possibly requiring complete wood replacement. Not only can hardwood refinishing be cost effective and easier on maintenance, but it also generates a warm inviting feel to your home. Contact one of the professionals at Sherlock's Carpet & Tile who can discuss the best options for your particular needs and desired result.